Steel Grit is made by crushing the fully hardened shot, screening the resulting media and tempering it to a desired hardness. Steel Grits are angular or conical in shape. These work their best in tumblast applications, where eccentric rebound aids coverage. It is used in rust removal where speed of cleaning is critical and somewhat rough finish is acceptable. Moreover, we are renowned as one amongst the dependable Steel Grit Blasting Suppliers in India. 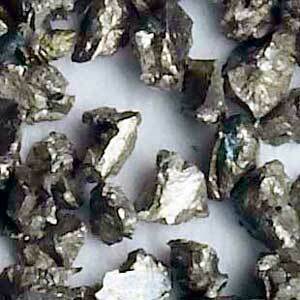 We also specialize in providing Wholesale Stainless Steel Grit at the most affordable prices.